Pomfort SealVerify is the one-button software that ensures the completeness and consistency of media data. It’s a free tool for Mac OS X and Windows. Pomfort SealVerify guarantees a complete and consistent data transfer and a quick and easy verification of checksums. It benefits from the sealing functionality that complements the widely used and production-proven MHL standard for checksums. Travel drives sealed with Silverstack contain a complete inventory list of the entire content. After any further copy step, for example in post production, the free tool Pomfort SealVerify enables the verification of the intended content. It’s dead easy: With the click of one button you can check the completeness and consistency of the copied media. A clear approval sign gives you confidence about the perfect condition of your data. Please visit the Pomfort SealVerify Product Page to download the application for free. How to Install on Mac OS X ? 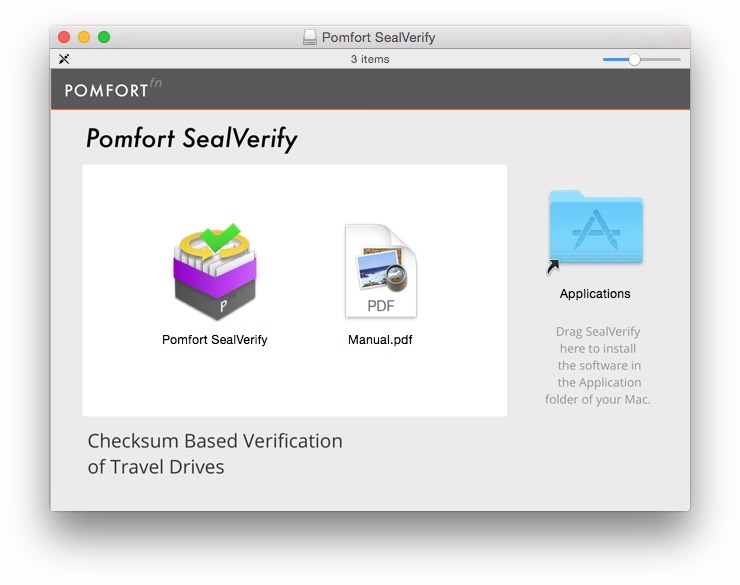 You can download Pomfort SealVerify for Mac OS X from the product page on the Pomfort website. After a successful download double click the .dmg to mount the disk image and access the application that is inside. 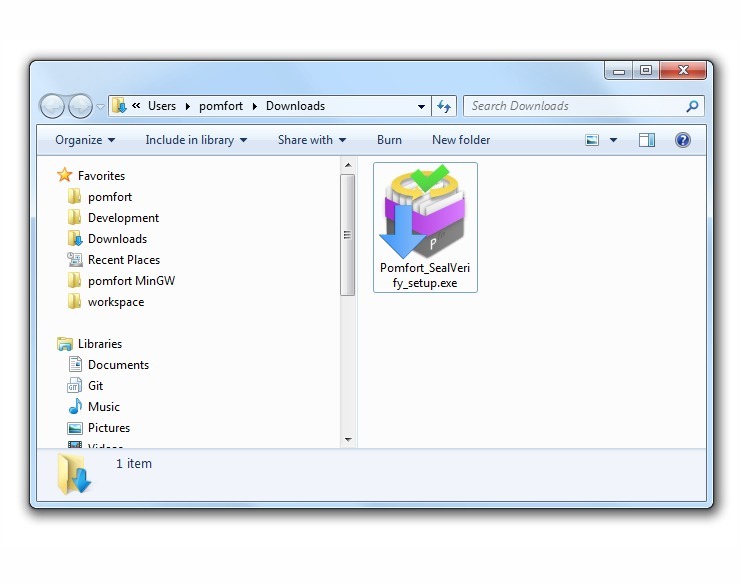 Copy the Pomfort SealVerify application to your Applications folder or any other selected place. Double click the app icon to start the application. How to Install on Windows ? You can download Pomfort SealVerify for Windows from the product page on the Pomfort website. Open the .exe file to start the installation process. You will be guided through the installation process by the installation wizard. Pomfort SealVerify will then be available on your system. Check the Start menu or the desktop icon to launch the application. 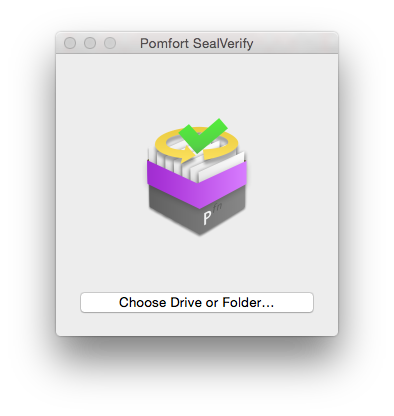 For Mac Pomfort SealVerify requires OS X 10.9.5 or later. 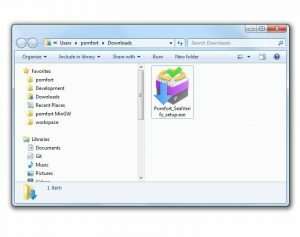 For Windows Pomfort SealVerify requires Windows 7 or later. For more information about the optimized workflow with Silverstack and Pomfort SealVerify please see the article A Typical Set-to-Post Scenario with Silverstack and Pomfort SealVerify . Fig. 1: The Pomfort SealVerify start screen. Fig. 3: Succesful verification of a sealed drive. 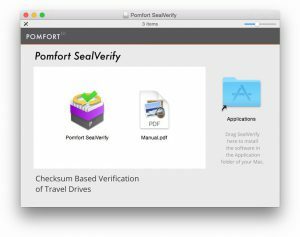 If you want to learn more about detailed functionalities of the application please refer to the article Verifying Sealed Drives in Pomfort SealVerify. If you had no success finding a solution to your issue please visit our support forum where you can find community help about the free application.